In the first lesson, you’ve discovered how to let your money work for you regardless of your background, business experience and/or your investment capital. Today, let’s tackle on the perfect vehicle to get you started in the journey to passive income through investing. And all of a sudden when you look at your seatmate..
..to your surprise, you see Mr. Henry Sy! Yes the man. The owner of SM. You are so excited and you told him..
"Uhmm.. Hello. Excuse me. Sir Henry Sy. I'm Tiyo Pilo. I'm such a big fan of yours. I have P5,000 here in my wallet now. 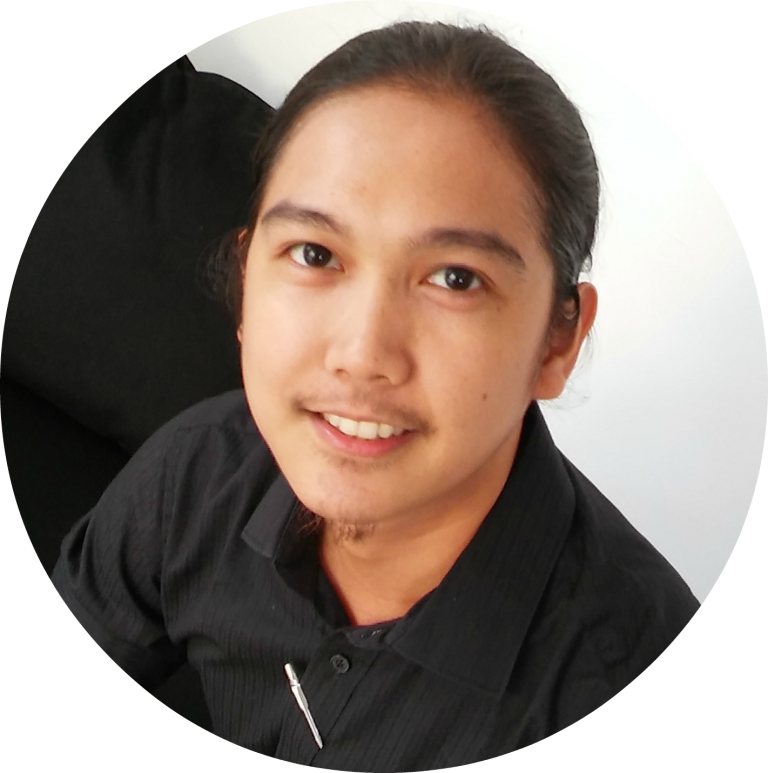 By any chance, I would love to be business partners with you." Do you know what he’ll probably say? "Sure! Do you know a bank called BDO? I own that. You can deposit your money there." In the previous lesson you’ve learned about Liquid Assets and an example of which is your bank savings account. Surely, it’s not just inside the vault as what movies seem to depict. It’s actually released as loans or reinvested to gain better interest rates or growth. You deposit your money earning less than 1% interest per year. Then, the banks loan it to people at 3.5% interest per MONTH (through credit cards) – that’s 42% per year. They keep the 41%, you earn the 1%! There’s nothing wrong with the banks (in fact, I love them for their online banking and convenience), but what is not right is our level of financial education. The bank’s purpose is for emergency funds and/or business transactions. In case of sudden financial needs, you can easily access their ATM to withdraw money. In case of business deals, you can easily issue checks instead of bringing cash with you. That’s why they give as low interest rates for deposit and checking accounts because they know anytime, you can withdraw your money. However for your long-term savings, if you want growth in your money then it should be invested where the banks also put their money. Here comes in other liquid assets such as investments in bonds, stocks, mutual funds, insurances with cash value and the like. I started inquiring about investments from friends, I was referred to a financial expert, attended seminars – in short, I was financially educating myself. You buy a condominium unit, you rent it out and it puts money into your bank account. Again, you acquire “something” and that something puts money into your bank account. And that my friend, is the secret of the wealthy! There are four types of income-generating assets. These are businesses, liquid assets, real estate and commodity. and heck it does not even require you too much capital! As long as you have CASH, you can invest in it and start letting your money work for you. An example of a liquid asset is your bank savings account. Let say for example you have P100 and the bank interest rate is 1% per year. But let’s just assume 1% per year for simple calculations. After 1 year, your P100 will grow to..
You work hard for P100, but your P100 work for you to help you earn P1! Your P101 will grow to..
Notice the 0.01 cent? Your P1 together with your P100 continued to work for you. That’s how money works! 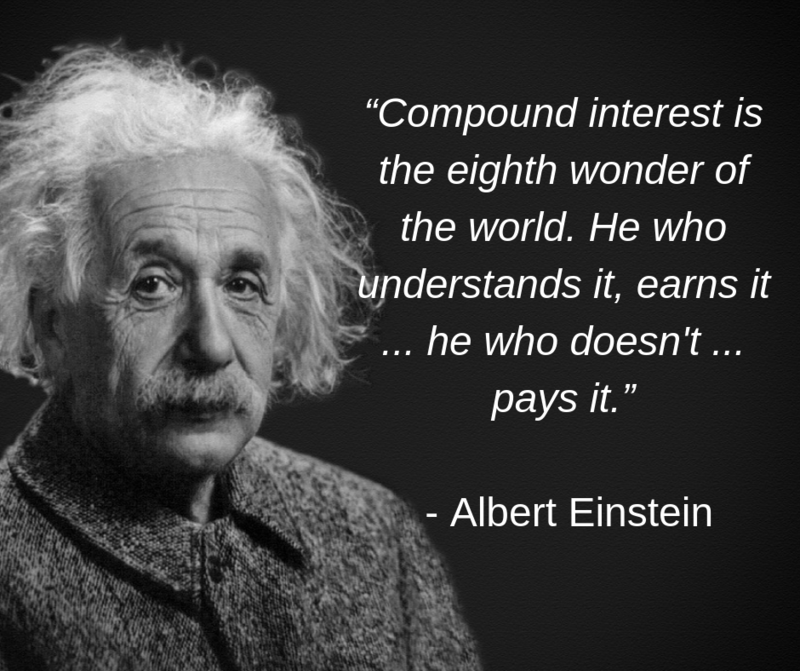 It works through the power of compound interest! Now enough with this nose-bleeding Math (Hehe I know a lot of you hate calculations). 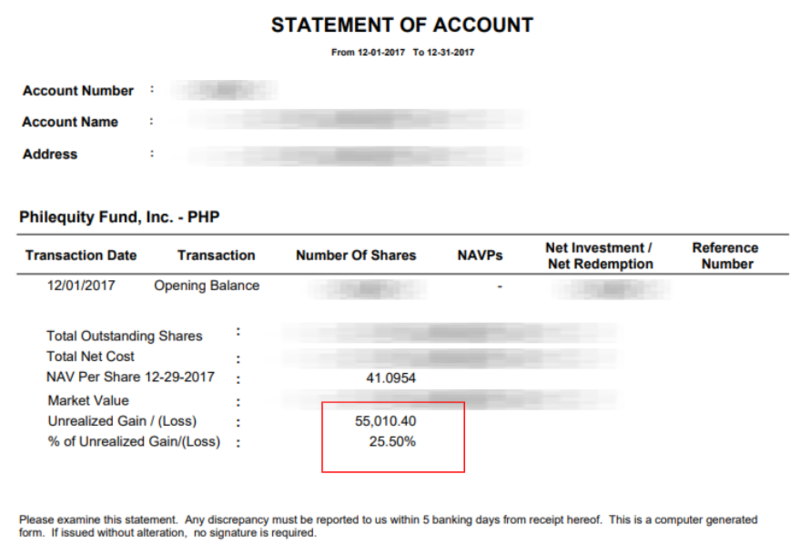 Instead, let me show you one liquid asset that generated 25.50% interest yielding P55,010.40 in growth. That my friend is the power of letting your money work for you. Regardless of your educational background or business experience..
..you can let your money work for you as long as you put it in a vehicle that earns interest rates. For as low as P5,000 (latest I’ve heard is as low as P1,000 now!) And nope, it’s NOT franchising. This email is gonna be boring..
Because I’ll be answering this question in a more or less technical way. (I’ll try to explain it as simple as possible though. Hehe). – It is a company where it pools funds from different investors. – It is usually invested in the stock market, government or corporate bonds. Surely, it is not only stored in the vault! It is reinvested in the form of credit (bank loans) or invested in financial instruments like the stock market or mutual funds. You are earning less than 1% interest per year (money sleeping in the banks), but they are re-investing your money earning more than 10% through credit or investments. No wonder the rich gets richer and the poor poorer, because they know where to put their money. That’s why I am a personal finance advocate because in the information age..
..it is no longer an excuse NOT to know the secret of the wealthy. 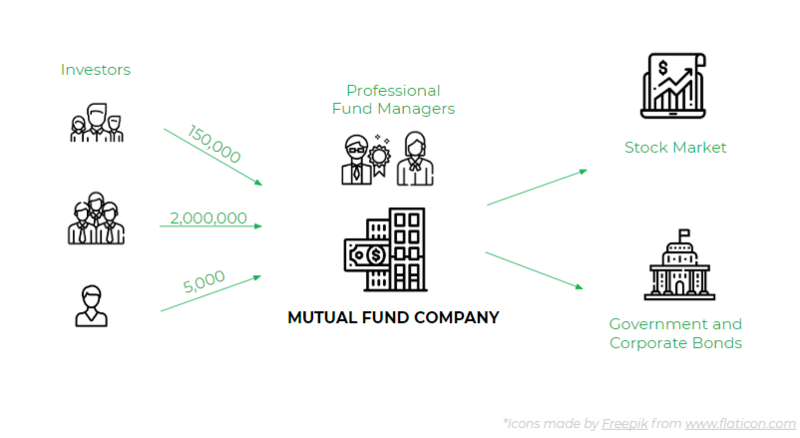 So, how does mutual funds work? When you invest in mutual funds, you own shares in proportion to your investments. When the mutual fund companies earn due to their investments, you receive proportionate share of any earnings on the investments of the funds. So yes, you are a part-owner. By the way, I am NOT against banks. It’s just they also have their own different purpose. Have you heard the word “shareholder”? Yes. It’s because when you invest in mutual funds, you will receive number of shares directly related with the invested amount. A mutual fund having a price per share of P1.00. Then if you have P100,000 you can buy 100,000 shares of the mutual funds. – Just like buying rice, the price is per kilo. – For gasoline, the price is per liter. – And for mutual funds, the price is per share. 3. Mutual fund is about investing for the long-term. Investing should be long-term. As the longer you stay invested, the higher the growth in value your investments will be. That’s 77.83% growth in 8 years. Or 15.57% per year growth! ..how does one start investing in mutual funds? Go and continue reading here now. ..the difference between the rich and the poor is education. But not the normal type of education that after you graduate you become (no offense) a corporate robot. Dragging your feet to work every Monday and wishing it is already Friday. I’m talking about Financial Education: knowing how to handle your money and knowing where to put, invest and let it grow. You see, I’ve always been a saver. When I was in college, my daily allowance was P100. – I eat 5 pesos rice and 5 pesos “monggo” for breakfast. Less my jeepney fare, I can save more than half my daily allowance. And after I graduated, I was able to save a significant sum. But the more I saved..
..the more I realized that my money is just sleeping in the banks. After few years deposited in it, it was just growing very slowly. I was getting more than what the average depositor was earning in terms of interest rates. There are four types of income-generating assets. These are businesses, paper assets, real estate and commodity.